This Lastolite Ezybox Quad Kit includes the Ezybox Quad flashgun bracket and the medium (54cm x 54cm) Ezybox Studio Softbox. 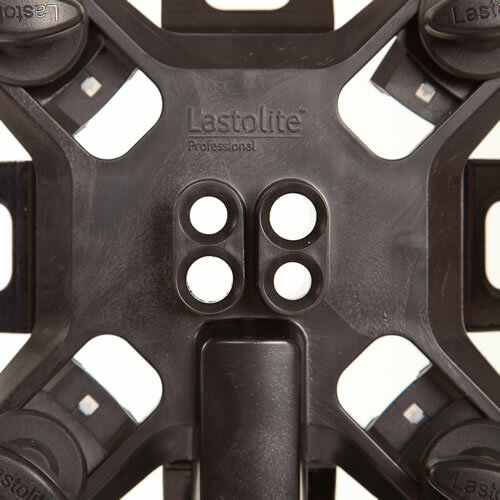 The new Lastolite Ezybox Quad is the ultimate flashgun bracket. Whether you're looking for a lot of power, or faster recycling time from your flashguns, the Lastolite Ezybox Quad is the perfect solution. 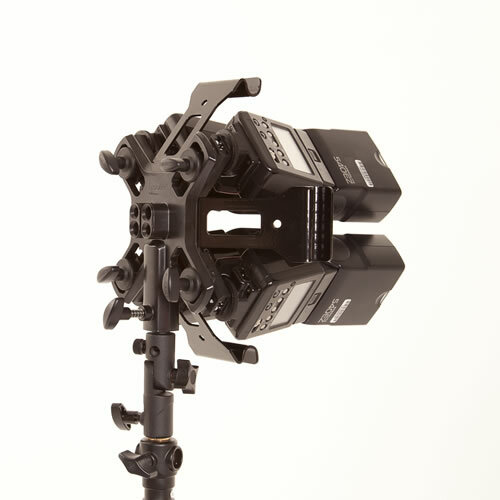 Simply attach up to four flashguns to the bracket, then attach one of five different-sized Lastolite Ezybox studio softboxes to create beautiful diffused light. 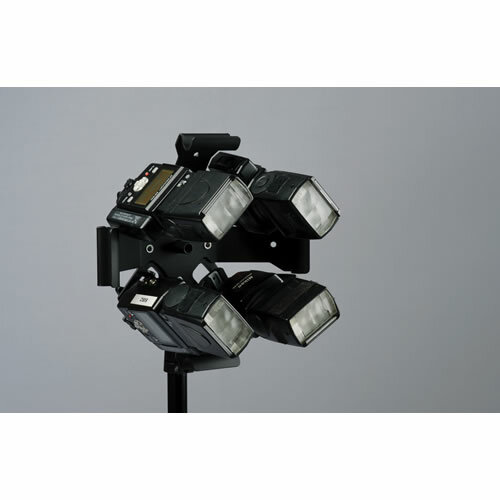 The Lastolite Ezybox Quad can be used with various flashgun triggering systems. How many times have you been on location and wished you had a TRULY portable softbox? 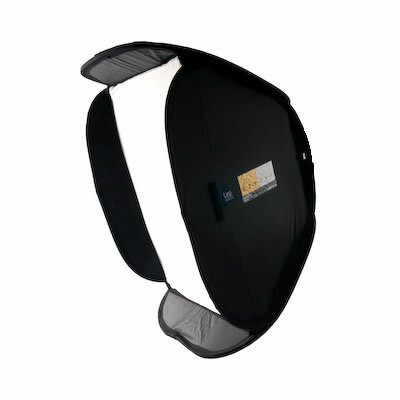 Until now, softboxes have generally been seen as a studio item because they are too bulky to carry or take too long to assemble. The Ezybox softboxes are different. 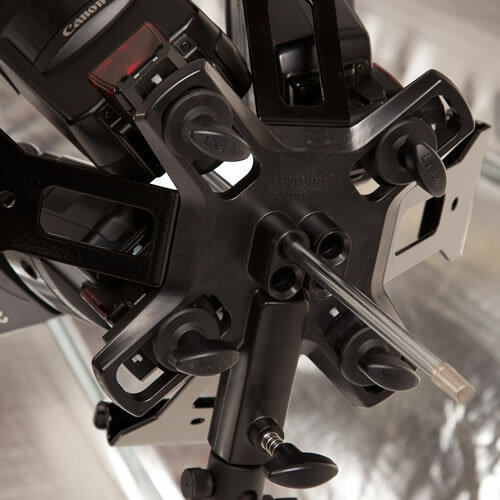 They can be set up in a matter of minutes (without using any rods) making them the perfect solution for the busy photographer.